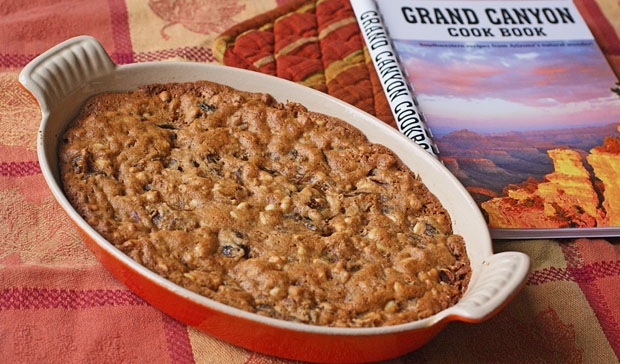 Here’s another gluten free dessert inspired by the Grand Canyon Cook Book. This recipe caught my eye because I LOVE bread pudding, but have to stay away from it due to my food sensitivities to gluten, baker’s yeast, milk products and sugar. My son who’s a big fan of Lärabars, which are date based, loved this healthy snack. Serve it warm out of the oven with a scoop of your favorite non-dairy ice cream or a dollop of Greek yogurt. It also heats up well in the microwave. Served cold, this gluten free dessert reminds me of pecan pie! You may just want to tuck this recipe away for Thanksgiving. Either way, enjoy a sliver (a little goes a long way) with a hot mug of Crio Brü or a glass of soy milk. Mix sugar and eggs. Add dates, brown rice flour, salt, baking power, and pine nuts. Pour into a greased, shallow baking dish. Bake at 350 degrees for 30 minutes until golden brown. 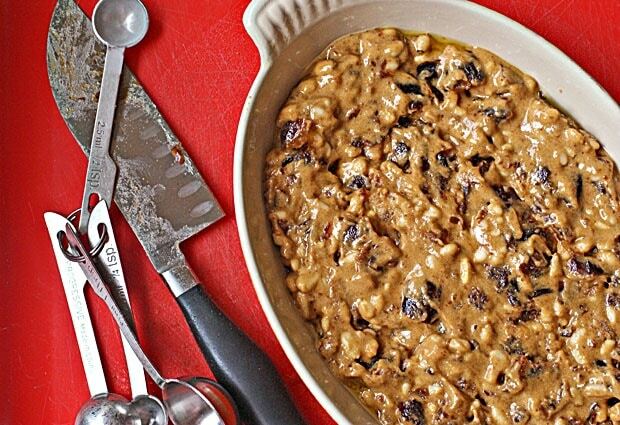 Posted in Desserts, Gluten Free, Recipes, Travel and tagged Arizona, bread pudding, pine nuts on April 13, 2011 by Anne-Marie Nichols. 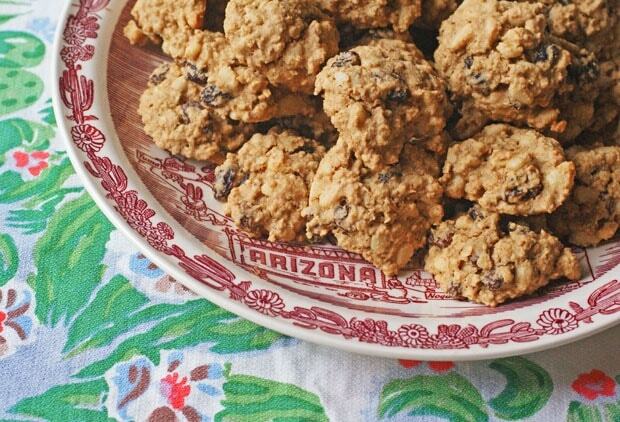 Posted in Cookbooks, Desserts, Gluten Free, Recipes, Travel and tagged Arizona, cookies, pine nuts on April 11, 2011 by Anne-Marie Nichols.